Have you ever behaved so badly with your co-workers that you've considered changing your name and moving to another state and becoming a "street performer"? Have you ever behaved so badly that one of them asks, "Is something wrong with you?" Happy Friday my dysfunctional little balls of rage, happy Friday. And no- don't even ask. I myself wish I had one dollar for every time I've said something that I wish I hadn't. Happy Friday to you, too. No, I've never done something like that (she says while nodding her head vigorously). And to quote my dear Momma "This too shall pass." I usually get "Well, you're in rare form today." But I prefer to hear "Well, someone's full of piss and vinegar, huh?" That usually helps my attitude clear right up. I have behaved so badly that I considered becoming a barista. I don't really have enough talent to be a street performer. Let's just say I've been called an "HR nightmare" more than once. WHen you say don't ask that just makes me that much more curious. ANd yes, I've been the oddly behaving person who is accused of being an attention whore, crazy and a host of other names I'd rather not repeat. Bring in cookies on Monday - all will be forgiven. Another reason I'm glad I work from home!! OK. I know where you were and who you were with last nite. Coffee soon so you can fill in the sordid details??? Well, since you asked I have in fact done something like that. Only it wasn't so much badly as stupidly. It involved too much alcohol and getting up on the stage and bumping butts with the known company drunk. Now then...do you feel better? I always thought that's why god made jobs. To give us a stage and audience to showcase our assholery. I drunkenly peed my pants during a company golf outing. I doubt you can top that and if you can, you must tell me what you did. You think you know - you have no idea. 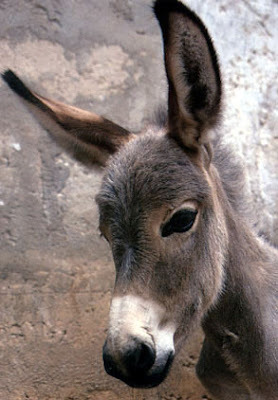 I am 50, I've got years on you and am way ahead in the Donkey Shame Race. Go drink up and have a great weekend. If you were my co-worker I'd probably tell you to f*ck off and then greet you with a hug on Monday. 'Tis the reason I've moved down south. I'm always bad at work....but in cool kinds of ways only. For example, I'll get people to act out scenes from "Glengarry Glen Ross" (sanitized, of course) with me. I'm always Moss (Ed Harris, in the movie), of course. Oh yes, most decidedly. First you show me yours then I'll show you mine. keep in mind that I am 63, and have been behaving badly much longer than you, so I have a great advantage. Also actors get away with behaving badly, even when acting for money. um. four times. no, wait. six. never. i'm going with never.